Hania Aguilar, 13, was kidnapped Monday at the Rosewood Mobile Home park. The search is intensifying for a 13-year-old girl who was abducted outside her North Carolina home Monday morning. 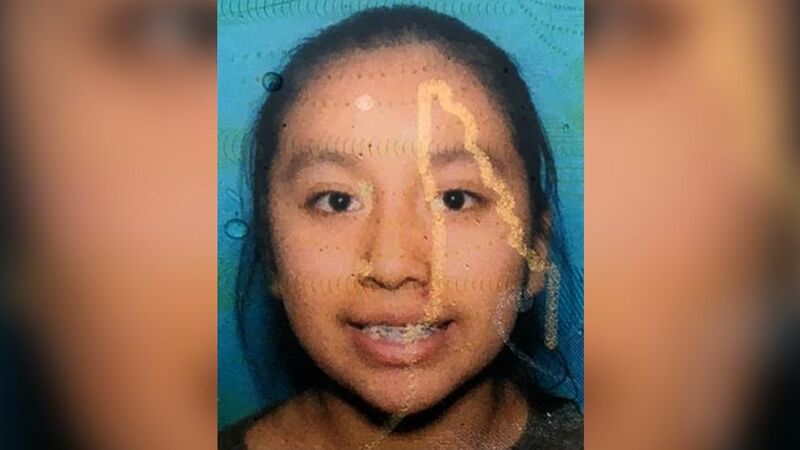 Eighth-grader Hania Noleia Aguilar was kidnapped just before 7 a.m. Monday at the Rosewood Mobile Home Park in Lumberton, according to Lumberton Police. (Lumberton Police Department) An undated photo of missing 13-year-old Hania Aguilar. Hania grabbed her aunt's keys so she could turn on the car ahead of going to the bus stop for school when a family member saw a man dressed in all black with a yellow bandanna over his face approach the teen and force her into the car, police said. The suspect then stole the car and drove away with her, police said. "I just want my daughter back with me," Hania's mother said in a statement shared by officials Tuesday. "I'm here waiting for you." (missingkids.org) Hania Aguilar is seen this undated photo. "Every second counts when a child is missing," Lumberton Police Chief Michael McNeill told reporters Tuesday. He said investigators are trying to speak with residents and visitors of the mobile home park. The FBI is also offering a reward up to $15,000. Authorities said they were following nearly 50 leads as of Monday night. There is no indication Hania was targeted, officials said. 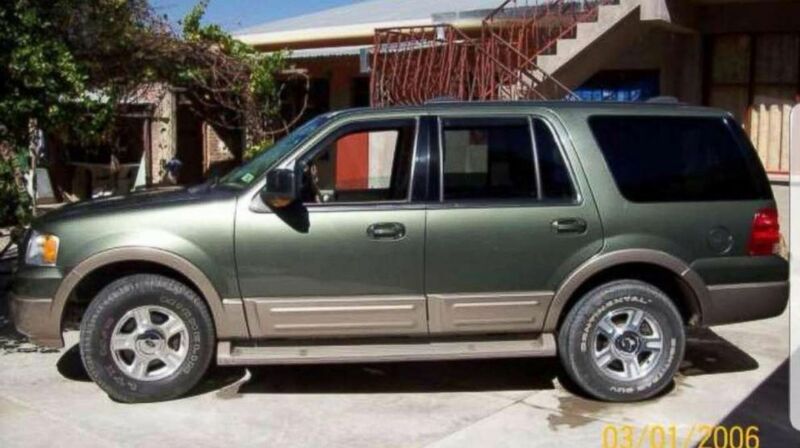 The aunt's stolen car is described as a green 2002 Ford Expedition with South Carolina license plate number NWS984. The car has paint peeling from the hood and a Clemson sticker on the back window, police said. This SUV image is similar to the car in which she was kidnapped, police said. 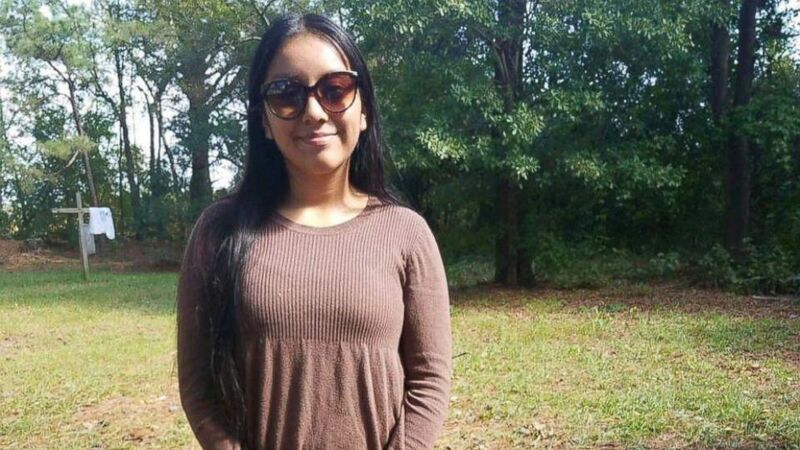 (Lumberton Police) Hania Noleia Aguilar, 13, was kidnapped on Nov. 5, 2018, in a green 2002 Ford Expedition with South Carolina license plate number NWS984. Anyone who sees the car is asked to call 911. The Lumberton Police Department urges anyone with information to call their designated tip line at 910-272-5871.